The best!! From the initial phone calls with Lynn, who is extremely accommodating, friendly and knowledgeable, to the office, which is clean and modern, then there is Dr. Jean.....he is down to earth, calm, very knowledgeable and nice! I was extremely confident I was with the correct surgeon.....My breast augmentation went fabulous. He is an excellent, caring surgeon who is always available to address concerns. My results ar exactly what I wanted as a middle aged woman. Nicer, but not too much! Also, the Bryn Mawr Surgical Center has the best staff one could ask for. Don’t look any further. This is the practice you are looking for! After researching breast augmentation for about a year after nursing the last of three children, I found Dr. Jean's website. I liked how it thoroughly described the process and I also read his glowing reviews. My first contact at the office was with his Marketing Assistant who spent at least 30 minutes answering my initial questions about the procedure before setting up a meeting. At my first meeting Dr. Jean and his staff made me feel comfortable with the process and I felt confident this was the right decision for me. I appreciated how he listened to my concerns about not wanting to go too big or to look fake after the surgery. Being a very athletic person, I did not want my new breasts to hinder my workouts and only wanted to be able to fill out my clothes and bathing suits like I used to prior to having my three children. Dr. Jean and his team at the Bryn Mawr Surgery Center made the day of the procedure go so smoothly even though I was quite nervous due to the fact I never had surgery before. My recovery over the past five weeks has been easier than I thought and I would recommend Dr. Jean and this procedure to anyone out there who wants their confidence back after having kids! I am a mom of three young ones and after nursing I was left depleted and could barely fill an A cup bra. I had thought about getting a breast augmentation for a while but was nervous about actually going for it. I could not be more pleased going with Dr. Jean. I left my first consultation with him very excited and optimistic! He took careful time explaining the process and expectations. One of my biggest concerns was choosing the right size for me and Dr. Jean was so patient and kind in walking me through that process. The entire process from start to finish was a great experience. Dr. Jean and his staff really were so helpful in answering any questions and with scheduling my surgery within the time frame that I needed. I am THRILLED with my results. I could not be happier! Dr. Jean's professionalism is only outshined by his impeccable skill. His knowledgeable, consultative approach made it clear to me that the well-being and happiness of his patients are his top priority. He thoroughly addressed all of my questions and concerns along the way, but most importantly, delivered outstanding results. The entire office staff is warm and accommodating - every interaction I had with Dr. Jean and his staff at the office evidenced nothing but their commitment and care for every one of their patients. Dr. Jean has done wonders for my body and self esteem. His entire staff is welcoming and professional. I had breast augmentation surgery and Dr. Jean went over and beyond my expectations. I highly recommend Dr. Jean and his staff if you want the best results and care! Fantastic experience from start to present! I had been considering plastic surgery for years but was always hesitant and never felt truly comfortable with making the decision to go through with it. That is, until I met Dr. Jean and his wonderful staff. Kayla was great! Dr. Jean and Kayla answered all my questions and were encouraging and accessible. I healed a lot faster than I thought I would and my results are amazing! I could not be happier! After spending many years thinking of the possibility of getting breast augmentation, I finally found someone who made me comfortable enough to make the decision to move forward with the procedure and I couldn't be happier about the experience. Everyone at Dr. Jean's office makes you feel right at home and provides an extremely comfortable experience to help in making such a big decision. The process Dr. Jean uses in facilitating the choice of size was by far the best over previous consultations I've had with other surgeons. Being able to physically try different sizes of implants on my own body gave me the confidence I needed to move forward with the procedure. Dr. Jean and everyone in the office really gave me the time and attention I needed to answer all of my questions and did not make me feel pressured or rushed to make the decision. Having never had surgery before, I anticipated that I would be overly nervous and anxious about it, but everyone made me more than comfortable and the facility they use made it a great experience. I would definitely give 5 starts and recommend anyone who has been thinking about breast augmentation go to Dr. Jean's office for a consultation. I know you'll be confident in the decision to move forward with the procedure! I am three weeks post op from breast augmentation. I am 51 and decided to do this fairly late in my life but I am so thrilled and happy with the results. I choice under the muscle, silicone, moderate profile and I am very happy with my decisions. Dr Jean is professional, skilled, kind, and patient. He provides all the information you need, answers every question and has great tools to help make decisions. Dr Jean does an excellent job guiding you to the best options for you. My surgery was flawless and recovery was very easy. Dr Jean takes every precaution and uses advanced technique to avoid complications or post op infections. After 3 days, I really had to stop myself from getting right back to my daily routine. After 2 weeks, I felt pretty much back to normal. The results were amazing and better than imagined. 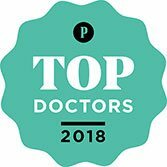 Dr. Jean's staff is equally amazing and professional. They provided great support. Finally I was completely happy and put at ease at Bryn Mawr Hospital's Surgical Center. Again their professional manner, attention to patient safety, and bedside manner were excellent. I really can't say enough about my experience and how confident and satisfied I am with everyone I encountered.